Caine, Rachel. 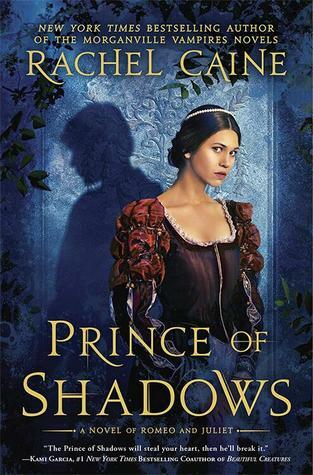 Prince of Shadows: A Novel of Romeo and Juliet. New York: NAL, 2015. This is another novel I brought along with me on my trip to Vietnam, thinking to abandon it along the way to ease the weight of the return journey. It was an interesting read, though It's not altogether my cup of tea. The gimmick is that the story is told from Benvolio's point of view—and Benvolio is [insert drum roll] the Prince of Shadows, a Robin Hood-esque cat burglar who steals from the rich—or those Capulets needing to be brought down a notch or two—and gives to the poor—or keeps it for himself if he has some expensive plan afoot. In the novel, Mercurio is gay; his paramour's death and his own forced marriage cause him to become reckless—or nearly insane. He does conjure up a curse on both their houses (i.e., Capulet's and Montegue's), and the Prince of Shadows needs to track down all the pieces of the curse in order to lift it. 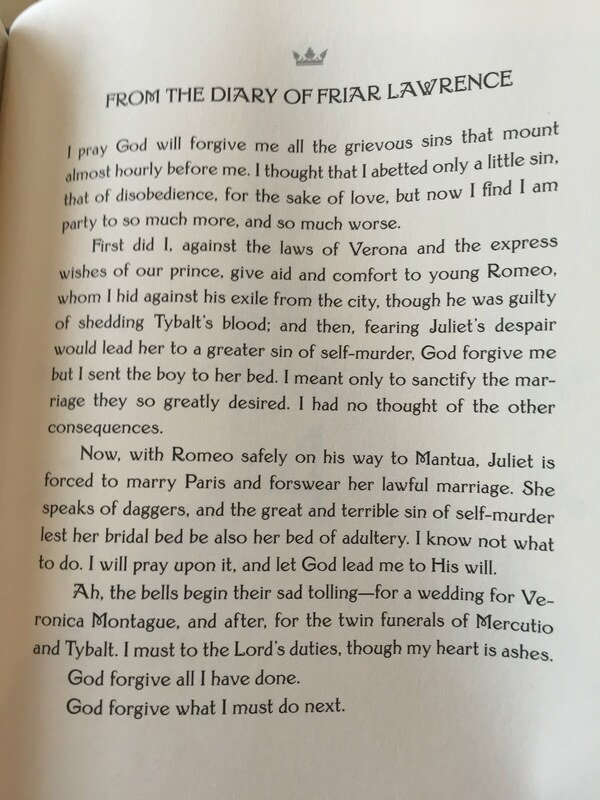 In the meantime, Romeo is being as annoyingly foolhardy as usual—first about Rosaline (who is a Capulet, so his interest in her causes no end of a stir in the family) and then, when Rosaline has been sent off to the convent, in Juliet. While that's going on, Benvolio is falling in love with Rosaline; since the novel is from his point of view, this becomes our main romance. It was a compelling narrative, though it wasn't without its flaws. The interludes between chapters, for example, were fairly uneven. They usually consisted of letters from one character to another, but they sometimes deviate from that. Here's a sample that does--from the diary of Friar Lawrence.